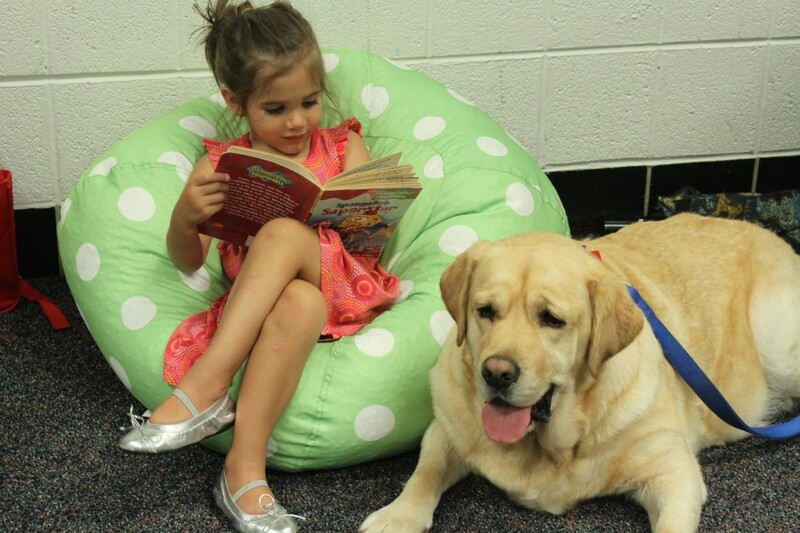 The Reading with Rover program involves dogs in the quest to help children with reading difficulties improve their literacy. 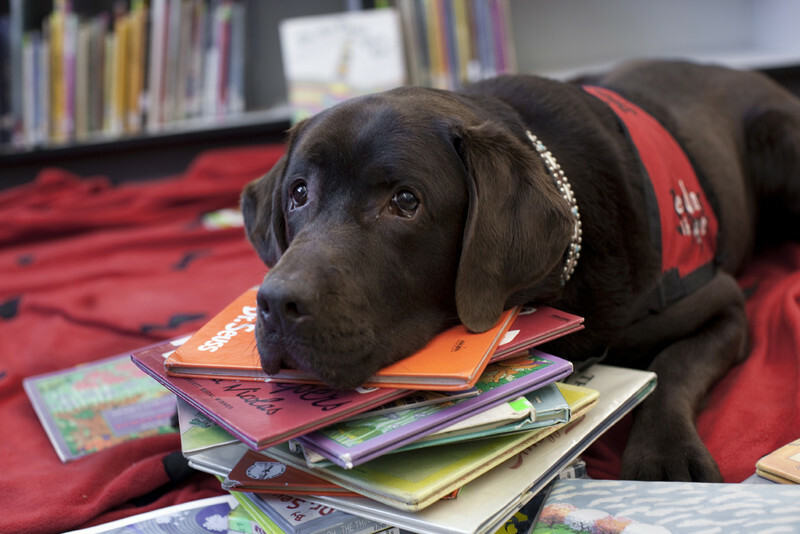 Dogs in the program visit schools, bookstores and libraries to listen to children read them stories. It has been found children who are nervous to read aloud to peers and adults are calmer when reading to a dog - who never pokes fun or criticises if they have difficulty deciphering a word. The program hopes to improve children’s comfort in reading aloud, help them advance to higher reading levels, increase their empathy and social skills and given them greater confidence. Reading with Rover aims above all to help children learn to love the world of books. The program is community based, with helpful volunteers and owners dedicating their time to helping kids in need. Interested people and their pets must first be evaluated before they are allowed to participate. It is necessary for dogs to be calm, gentle and happy to sit quietly for extended periods of time. Children are generally registered for weekly sessions for around two months to give their skills a chance to develop. The results of the program are universally glowing. Parents report their children now nag them to take them to the library so they can find more books and read to the visiting dogs. In one group, four in five students doubled the number of words they could read correctly and the entire group showed great improvement in their reading accuracy. 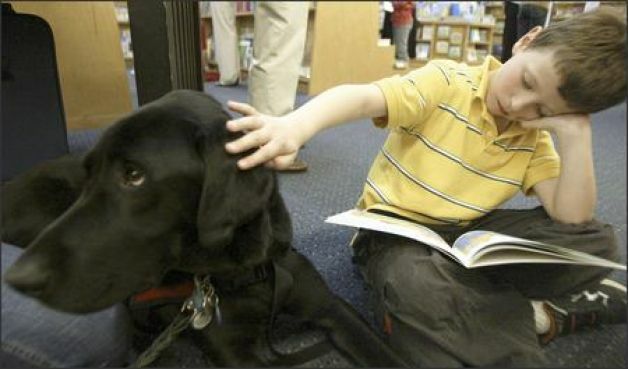 In one remarkable case a 6-year-old with Asperger’s Syndrome was brought to a Reading with Rover session. Much to her mother’s surprise, her daughter suddenly began reading fluently to a dog in a way she had never shown herself capable of in front of her parents or teachers. When made to feel comfortable by her new dog friend, the girl was able to display her hidden skills for the first time. Her mother was amazed by the change that took place before her eyes. 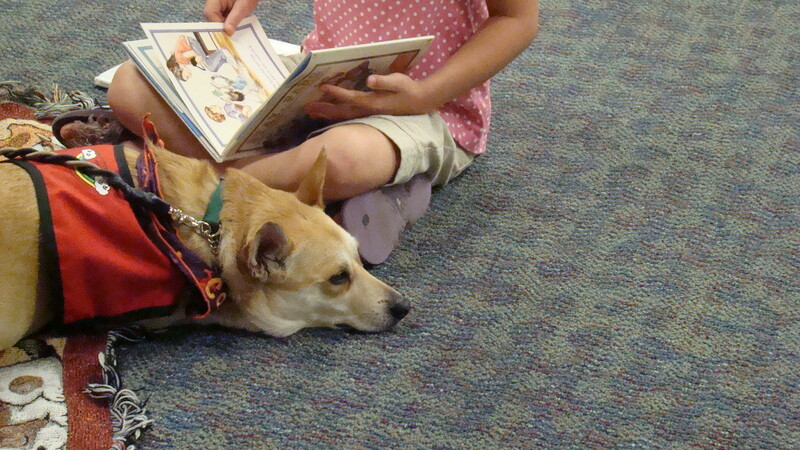 Another girl began visiting the Reading with Rover dogs when she was in 3rd grade. At that point, there were strong concerns about her literacy levels as she was deemed almost two grades behind the skill-levels of her peers. Now in 5th grade she has spent two years in the program. Now she is reading at an 8th grade level. Currently the program operates only in the Washington area of America but there is hope it will spread, given its popularity and success.